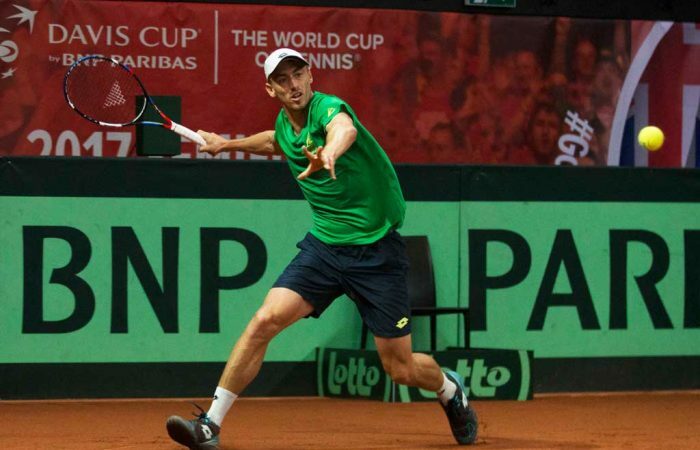 John Millman will debut in the Australian Davis Cup team after a strong run of form in recent weeks. 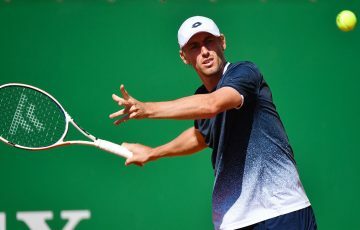 Australian captain Lleyton Hewitt says that John Millman’s late call-up to debut in the Australian Davis Cup team for the semifinal against Belgium is a reward for his strong form over recent weeks. 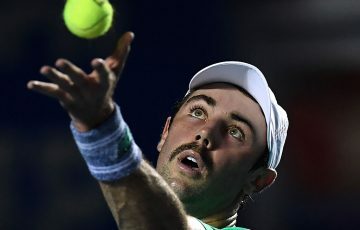 Thanasi Kokkinakis was named in the initial four-man line-up but, shortly before the draw was made in Brussels, it was announced Millman would play the first singles ahead of the 21-year-old. 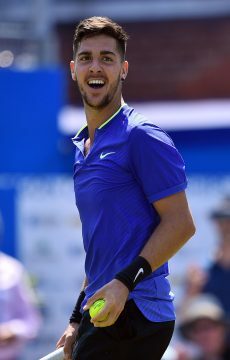 Kokkinakis has battled a litany of injuries over the last 18 months but has made some encouraging strides this year on his path to returning to his former top-70 ranking, including reaching the final of the Los Cabos Open in Mexico last month. 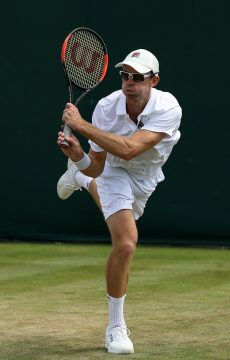 However, Millman’s run to the third round at the US Open and the final at a challenger tournament in Kentucky last month were enough to convince Hewitt he was ready to open the match against Belgium No.1 David Goffin on Friday. 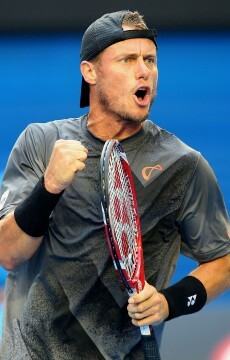 “John is match hardened, he’s played a lot of five-set tennis, particularly in New York,” Hewitt said. 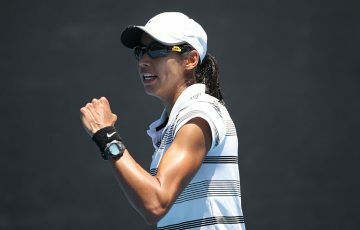 Hewitt explained that his fellow South Australian is still in the early stages of his return from injury. “We have to look at where Thanasi is at, at the moment,” he said. “He’s had a pretty rough two years with his body and trying to get it right. 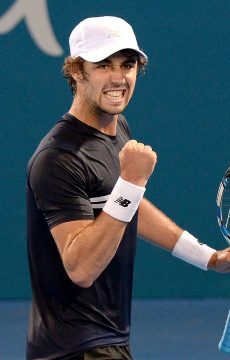 He is on a path there to getting it right and playing top tennis again. 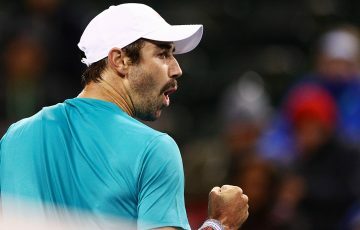 “He hasn’t played that many big matches at the moment, particularly over five sets. World No.20 Kyrgios will take on the experienced Steve Darcis in the second singles rubber. 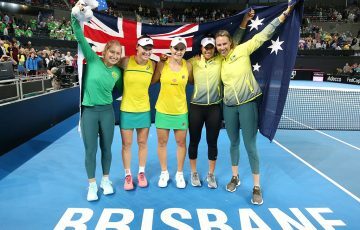 John Peers and Jordan Thompson will play the wily Ruben Bemelmans, who played in the last meeting between the two nations in Townsville seven years ago, and rookie Arthur De Greef in Saturday’s doubles rubber. The reverse singles rubber will be played on Sunday. 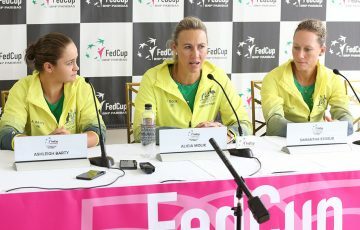 Hewitt has the option of using Thompson should he wish to mix things up for the reverse singles but can’t name a player from outside the four-man team.